MediaMath is a digital marketing technology company dedicated to reengineering modern marketing to offer transformative results based on tangible goals. Work for MediaMath TerminalOne Marketing OS™? "Mediamath experience in LATAM (Argentina)"
This DSP is one of the best platforms on the market at the moment. Usually this DSP has a lot of nice features for performance campaigns, although my personal experience using it in LATAM, or exactly, Argentina. It's not the best, and it does have a lot of problems trying to use all of their features. Such as trying to get more % of Viewability, more Conversion, or specially at the time of connecting with differents PMPs. I'm using Mediamath as a DSP, and the benefits I have realized about is that is cheaper than others competitive-market DSP, such as DBM. "the DSP, DMP, DMC full package "
MediaMath T1 is extremely useful for organising audiences for deep learnings and activation. We can build and analyse bespoke audiences and seamlessly activate them within the DSP to give a full funnel omnichannel approach. Can be used in parallel to DV360/Tradedesk/.... etc for adding quality audience insights and targeting options if you have a large portfolio of campaigns running in other platforms. You may then move campaign activation into T1 as you see appropriate. "We use Media Math as the main DSP for Campaign Scouting"
I especially like the usability at Media Math. Many apps support the user in important functions. You can duplicate the campaigns and have access to all major SSPs and data providers. It's a pity that you can not integrate different data providers into one strategy without upsetting them. In addition, we have a few alternatives in Brand Safety, for example. It would be great if more private deals are published on Media Math without contacting a direct publisher. The usability of Media Math is very successful. In the near future, we want to gradually swap all Media Math campaigns and scale our spend. RTB is the future, as our customers have realized. "Great platform for users new to DSPs"
MediaMaths "Brain" and user friendly UI which is easy to navigate makes Mediamath stick out. When I first started out in programmatic, MediaMath T1 was the first DSP I learned. The was the UI is organized in a functional layout that makes sense and also helps understand how the entire landscape in programmatic works. I also value the reporting provided in the UI without having to pull exports and pivot data, makes optimizing campaigns less time consuming. Particular parts of the platform are inconvenient, such as creatives integrations can be nuanced and bring up an array of issues. Some 3rd party tags are accept in T1, and some you have to use an extension. Also newer targeting, such as weather, is managed through another site. Location targeting (such as zip codes can only be verified through downloading exports. The ability to not bulk edit targeting and inventory can be time consuming. Working through creatives inefficiencies to create a smoother work flow have gotten better, but are a slower transition as it impacts a huge part of the work flow in T1. The Brain when used correctly is a nice benefit, but takes time to understand how it fits in to your campaign initiatives and KPIs. The Brain can cut a lot of time out of optimizating and makes in less of a manual process. Although using a platform with that is so automated can be tricky. since you have less control. "Effective way of managing and executing audiences via the DMP / DSP"
The DMP on-boarding is relatively straightforward, and capturing U variables and extra data points is easy to configure in T1. The templated reports also allow you to easily roll insight packages out across different advertisers. The insight dashboard doesn't have as much customization as we would like, and mapping audiences to other DSP's except T1 has been tricky. We have been able to offer very granular insight's on the back of campaigns or clients 1st party data after on-boarding these into the T1 DMP. One of the best think of MM is the support staff,...usually they answer quickly and they are very helpful. Also "the brain" (the optmization algororithm they have) is a very powerfu and efficient tool to improve the conversions of the campaigns. Is very interesting for performance campaigns because of its optimization algorithm. Give it a try! I realized that the CPMs in MM are significantly lower than in other DSPs which is a great advantage for using it. "Solid DSP platform with excellent customer service"
Simple, easy user interface to activate a campaign and manage "strategies", as well as upload/import creative files and/or tags. The teams I work with also provide me with all the support I need and are always available to answer questions and make recommendations. Reviewing performance and making adjustments at the same time could be easier - at this time I prefer to export the data and analyze it within excel or a BI tool. Within the platform I currently have to toggle between views in order to make optimizations. Evaluate 3 or 4 DSPs and determine who offers the capabilities you require AS WELL AS the best team to serve you. The teams that I have worked with at MediaMath have been excellent, which outweighs almost anything else. Primarily, MediaMath has provided us with flexible and efficient display capabilities. This has included both B2B and B2C prospecting and retargeting campaigns. "Regular T1 user - mostly DMP side"
The platform is clear and easy to navigate around. There are lots of tips, knowledge and support available. On the DSP side making possible campaign problems more identifiable by notifying you. Sometimes would have to investigate a problem and its time consuming. I am using T1 as a DMP in order top provide analysis to advertising campaigns ran through T1 and other platforms. Able to customise pixels / audiences and provide granular insights using T1. "Strong Self Service Programmatic Solution"
Wish the minimums would be lower, we see opportunities for more of our clients but in certain cases the monthly spend limit (which is flexible) is too high. I also understand that they need to draw the line somewhere to make sure campaigns are effective and deliver value. Get a demo and see if the product is the right fit for you. "A staple in Programmatic Advertising"
be sure to star your campaigns! All the possibilities of targeting and the integration with a lot of technologies as factual, celtra, etc. The big inventory due to the integration with a lot of adexchanges. technichal issues, for example you have to refresh the page to upload a new strategy, the integration with PMPs take a long. Its a very complete DSP. "Good platform for managing multiple campaigns"
The spend delay is frustrating especially when you have a quick one day sale. Don't use this for campaigns with shorter flight dates - pacing is difficult within the platform as spend is not reflective of the day of. Our MediaMath support team is super helpful and always willing to step in to provide strong support. "Good on performance, improvable in reporting"
A very good performance tool on my personal experience. It has things to be improved of course but under my personal point of view we get good feedback from most of our clients. We have get so many benefits. For us MM is one of the most important tools in our bussiness and since we are mainly focused on desktop display, we know that we still have some important pending features as video and mobile. So I guess that the important things here are that in a short time term we will be getting much more benefits. "MediaMath has *TONS* of features and tons of controls! Great system for buying!" MediaMath has great account support, tons of tools in the interface, and plenty of reporting to look at. So many features! There is no view in the interface for day-of impression reporting, which can be very useful when running campaigns. They are lacking some of the pre-bid technologies that I'm seeing on other platforms, but to be honest, those features are like "insurance" and don't often provide the full support we need. So MM fits the bill on most needs. When buying on numerous DSP's, we've found that they all have similar features and similar support structures -- but MM has been very front and center in helping us optimize spend for hitting client KPI's. We buy media using social data, so we need features that will layer on top that will help us hit our KPI's and MM has generally been able to accomplish that for us. "VP of Media & Metrics"
Very good customer service, staff that is knowledgeable and available! WE love that you have a ton of great partners and always keep us abreast of what's new in the marketplace. Very enthusiastic team as well. The fees are very high and the contracts are restrictive and unfavorable to advertisers. We wish we had more flexibility around contract term length as well as commissions. Give it a try, but make sure your people have time to really learn the tools and pilot all of its many capabilities. If you have a busy team, and no time to use it to its capacity, you will always have the sense that you are underutilizing it. "Manage buys through MM platform"
The transparency into the platform and the ability to report on anything down to the unit size level. I also enjoy being the person that builds the strategies. I wish T1 would accept HTML5 creative. That may hinder us from running with MM in the future, I would also like more feedback on a weekly basis from my main contacts. Mediamath is a great tool when you fully understand the programmatic space. It is not a tool if you are just starting out. We are driving a lot more visits to a site. Conversions have not been has high as we would like though. The managed services for larger accounts, the targeting segments and the ability to add in other partners to the buy. Replies from reps can be slow. It would be helpful if we could get a reply sooner, also more proactive optimization. Have someone review the platform with you, it will help you get the most out of it. We are a DR agency and our clients focus on sales, been able to fine tune segments and use data to find customers has helped us, over 4 years, find those most likely to convert and keep our CPA at goal. "I strategically plan and place numerous programmatic digital campaigns within the T1 platform "
One stop shop for programmatic planning and campaign management. Reporting and optimizations made easy. The only thing missing at the moment is mostly in regards to video reporting, more specifically, being able to report all metrics by site ( we need more metrics by site: we need to be able to compete with Adapt and the major video players when it comes to reporting. I highly recommend Media Math. In the next year, I hope that we can compete more drastically when it comes to video and mobile-in-app. I run a lot of CPA campaigns for numerous clients. Media math just rolled out ROI optimizations which we are very excited about and are currently testing. Some of our clients expect between 4-5% ROI, so this will help us more quickly reach our goals. They have also partnered with Upcast which we and our clients are excited about. Being able to use Facebook and Twitters data will help us to better reach out targeted demo. Reporting is difficult and not user friendly. Also the viewability is terrible. We use the DMP which has allowed us to push more segments through to other platforms. Enable clients to unlock the full potential of programmatic with talent and expertise. Educate, engage and empower the new generation of digital marketing professionals. Difficult to navigate through, especially for those who are new to this program. Also has some premium features, so not everything is available. Look at the other brands who are using this and articles that talk about this to determine if this is right for your company. "Experience has been pleasantly user friendly "
The system is user friendly and easy to navigate through. I have worked in a few ad servers and i can add this one as another great one. We use Mediamath as our preferred Programmatic ad serving tool. It solves that problem for as. The technology learns from data and the brain adjusts as as the campaign progresses. Therefore optimization becomes easy. I really enjoy how thorough you can be when setting up your account and listing your inventory for buyers to access. You can segment and dice things up in a number of ways - which is best to attract potential buyers. Also, the fact that you can speak with buyers directly once they are interested, is fantastic. Its a bit difficult to get used to at first - I would have definitely been completely lost had it not been for the support PDF I was sent via email. Once you get a little more familiar with the platform via constructing deals and even deal groups - things become much easier. Definitely give this platform a shot, and also give yourself a good amount of time to get used to using it. The most instant benefit in my eyes was being able to get in touch with buyers (and multiple buyers at that), efficiently and easily. When you list your inventory, advertisers are able to speak with you directly on the OPEN platform, which is awesome. Nothing at this time. I have not spent enough time looking through it to find an issue. Segmentation and analyzation of figures. What I love most is the approach of an integrated, one stop solution for marketing program execution and optimization. This generates better control which delivers more credible data and communications analysis. Better analytics furthers the customer/business story and relationship. It's a true synergy of marketing program and customer expectation management. There's not much to dislike. I would like to see more ability to customize my experience and analytics. An end to end training solution would be awesome too. The partner approach is interesting but convoluted. Sometimes more choices aren't always good. I do like the constant info stream of Open though. An outstanding implementation. Dive in, the data awaits. We do general marketing consulting and media buying for small businesses. Our focus is primarily to create awareness for our clients in the digital arena. "Great in the ways a company needs to be great"
Overall, Mediamath provides all the things that a service focused should be providing customers. In addition to a overall useful client facing platform, the client service and engineering teams behind that platform offer all the support needed to run an effective business relationship. The one or two things I would like Mediamath to do better is improved overall offerings for social, mobile, and other mediums outside of display and video, as well as better reporting functionality. Were are trying to find the best and most easy to use platforms to run effective campaigns for our clients. Mediamath helps provide a functional and streamlined platform that provide enough tools to use for various kinds of clients and campaigns. "Wir benutzen Media Math als Haupt DSP zur Kampagnenaussteuerung"
Besonders gut finde ich die Usability bei Media Math. Viele Apps unterstützen den Anweder bei wichtigen Funktionen. Man kann die Kampagnen duplizieren und hat Zugriff auf alle wichtigen SSPs und Datenanbietern. Es ist etwas schade, dass man in einer Strategie nicht verschiedene Datenanbieter integrieren kann, ohne diese in die Höhe zu schißen. Zudem stehen uns wenige Alternativen beim Brand Safety beispielsweise zur Verfügung. Es wäre toll wenn mehr private Deals auf Media Math veröffentlicht werden ohne einen direkten Publisher Kontakt herzustellen. Die Usability von Media Math ist sehr gelungen. Wir möchten in naher Zukunft alle Kampagnen auf Media Math nach und nach switschen und unsere Ausgaben skalieren. RTB ist die Zukunft, das haben auch unsere Kunden erkannt. We need to understand the analytics more to impact our ads. We are working on this. Our digital marketing efforts have improved and we are optimizing more. "MediaMath is a nice platform but is missing some key essentials, such a bulk updating and updating." It does seem to optimize pretty well. I have only worked on AppNexus so it is hard to compare to something else, but each has the benefits and downfalls. It is a pretty easy platform to use though and they have so many different strategies that can be implemented and work well, especially PMPs. MediaMath can definitely work on bulk uploading and updating and loading quicker. Sometimes it takes forever to load and times out and there needs to be a quicker way to bulk update strategies. I definitely think it is a good platform to test out especially if the goal is to drive conversions. I think it is good to test out all DSPs because you learn something from each of them. The reporting is getting better as well so that you can use it to optimize to geo, site, publisher, PMP and pixels. Honing in on the right clients. Testing as much as possible really helps and then narrowing down to what works. "Have vetted MediaMath's solutions and products to share information with Publicis Groupe agencies." I mainly focus on verification vendors (such as Integral Ad Science, Double Verify, Peer 39, Grapeshot) so I appreciate that MediaMath is integrate with (or is on the roadmap to be integrated with) these verification vendors. It makes us more likely to recommend working with MediaMath to agencies as a result of their transparency. From a service standpoint, MediaMath is always quick to respond with questions that I have and provide relevant, up-to-date information. MediaMath is also known for their robust integration list and strong targeting capabilities within my company. I have not had a lot of experience of actually working with MediaMath's platform, but I have heard from other team members that the campaign management process is not very streamlined. I do not have a ton of experience with MediaMath's platform, but have heard feedback that the campaign management process could be more streamlined. Viewability, ad fraud, and brand safety are always a concern. However, since MediaMath is integrated with some of the big players, such as IAS, they are addressing this concern. A big business problem my team is focusing on right now is channel expansion and we are seeing very few DSPs starting to tap into new channels, such as: Programmatic TV, Programmati Audio, Digital Out of Home (DOOH), and Beacons. While we understand that these channels are a little ahead of the curve, it would be nice to see some DSPs start to experiment with one if not all of these new channels. The reps that our agency works with are absolutely phenomenal. They are always so responsive to any requests and are able to provide deep, detailed answers to help you understand their platform. I also love that whether our campaigns are client managed or T1 managed, they are always keeping an eye out on campaign performance and making recommendations to help us make optimizations to move us towards our client's goals. The dashboard and platform are not always super intuitive. Thankfully our reps are great for guiding us around because otherwise it can be confusing to find the right reports, or get the appropriate settings in place. For most of our clients we work towards ROI goals. With MediaMath's "Brain", the help of our reps, and the detailed reporting that we are able to pull, we are usually able to pretty easily identify which strategies, products, categories, sites, etc. work best for each client. "Good platform and good client services team, EXPENSIVE"
Great client services team, easy to use interface and flexibility to customize dashboard for us. Also transparent on the networks and websites where our ads show on vs. comparable platforms that have zero transparency. Client services are expensive and how responsive they are will depend on your ad spend. We are solving the issue of many different publishers in a highly competitive advertising space. We utilize MediaMath for their programmatic ad buying/DSP platform. One of the things that Mediamath has done that I haven't seen from other DSPs is buying a social platform- Upcast. This means that they can move their offeringinto the social space and you can manage both Social and Programmatic in one place. I think that the Mediamath platform is designed for Agency Trading Desks rather than Advertisers directly. A lot of the features that are released are futures that would benefit an Agency Trading Desk. A lot of the custom features that you would want as an Advertiser are difficult to achieve as they do not tend to be prioritised as a result of the above. I think that you need to have a clear understanding of what you are looking to achieve from your DSP and what your custom requirements are. You need to make sure that Mediamath either have all of the functionalities that you require or are investing in the areas that you see as opportunities for growth. We are looking to reduce our reliance on PPC and diversify our marketing mix by moving money into Programmatic. The ease of reporting. Also the numerious targeting features and data segments. There is also a bulk pixel creator. It is easy to use the dash board and see what your campaigns are pacing at. I don't really have any dislikes of the product. ONe thing they could add would be to add more video targeting options. They should add the ability to change tags in a csv document and then upload them into the system. We are using it to increase our clients ROI and have no wasted media. We are also able to drive more conversions for our clients by putting money into the highest perfomoing strategies. Since mediamath's T1 update, the interface has been a pleasure to use. the UI provides great clarity into how campaigns are pacing and is easy to find out what steps to take to improve performance. The support I have received over the years has also been exceptional. It's not so much a dislike but when coming in to the platform it just shows the first advertisers that aren't necessarily used and haven't been in a while, however this is easily avoided by using the favorite's function. Viewabilty is a key performance indicator that is sought after. This has improved since using mediamath. "A Helfpul Tool for Big Data Users"
This tool is very helpful when analyzing the massive amounts of data that come in from Display and Social campaigns across various platforms. Especially when married up with our own internal systems and some other platforms like Google Analytics and Doubleclicks, it's easy to see clear attribution from various channels and make educated optimization decisions. I definitely couldn't do my job (Search/Display account manager) as well without this extra insight. Occasionally, some of the new updates to their interface will be a little less user-friendly than I'd like, and it will take some time to digest them and get used to them. Otherwise, it's hard to think of too many other complaints. If you work with huge amounts of advertising data, this platform is definitely worth looking into. While it won't completely eliminate your need for engine tools like Google Analytics and perhaps some of your agency's own proprietary tools, it will help give you insights and optimization recommendations that you may not have seen elsewhere. This software doesn't necessarily solve a specific problem, but it helps to keep us informed of the overall health of our Display and Social digital footprint and make suggestions to optimize and improve. When married with other internal and external resources, it's a valuable component and we digest and analyze thousands of lines of data each day. "Optimize Campaigns and Identify Suspicious Traffic Sources"
The ability to pull site transparency and geo performance reports provides valueable information that can help our clients optimize their campaigns. These reports makes it easier to identify suspicious traffic sources or areas/sites receiving traffic that we do not want present in our target audiences. The standard cost report does not provide the booked cost to compare to the running cost figures. Media Math allows us to retarget users with additional messaging at a fraction of the cost compared to our usual direct site buys. We have been able to dramatically lower overall campaign costs through various tactics run through Media Math. "Digital Drove our Site Traffic thanks to Media Math!" Very little to complain about. We hope to use their tools more in Social Media this year. Probably more of a learning curve for me than MM. Run don't walk. Give them a call. Nothing to lose except time wasted in improving your results. Ultimately need conversions, but primarily needed to reach new audiences in order to bolster our site traffic. Mission accomplished with MediaMath. Our digital campaigns powered by MediaMath far outpaced prior year and exceed our 2015 goals. "Good product that just needs to work out some kinks"
MediaMath is a very easy product to learn. What I really liked about it was that I could monitor campaigns across a variety of platforms and that I could easily pick websites that I wanted to run ads on. The exclusion feature was also fairly straightforward. The dashboard is really clean, allowing you to see all the ads and campaigns that are running. It was also relatively quick and straightforward to add creative. The brain feature didn't seem to be working properly. The recommendations from the Brain didn't seem to make sense for our campaign. The other issue that I had was that it was easy to miss certain features when setting up a campaign. For example, it's easy to forget to change the tracking pixel when changing the other settings, leading to false conversions. Once the problem was corrected, the reports reflected the new conversions, but it should have been more obvious. There are too many boxes on the campaign setup. It would make more sense to have a "Next" feature or even just have the major campaign components on a single screen and then advanced options on another. The purpose of this software is to make it easier - especially for agencies - to monitor multiple campaigns for different clients on different platforms. In that case, it works great. Ease of use. Extremely flexible product and ability to view segments by company is ideal. The product is also extremely user friendly and requires little training on how to maneuver through different areas of the platform. This is essential for learning this line of business. I don't like how i'm unable to view granular areas of segments from our company. For instance, in Media Math, we are unable to see the full name of some of our audiences due to Media Math's ability to have a character limit. This makes identifying granular audiences problematic. Our data has the ability to reach the public but we would like to be able to expand character limits in audience names so users may see our audiences on a more granular level. Why does media math impose this restriction? The platform is not only very easy to learn and use, but the T1 support team is incredible. Inability to duplicate campaigns is one feature I would like to see. MediaMath is a fantastic DSP. The support not only exists but they get back to you within the day. MediaMath allows us to be nimble with our clients' ad dollars. As an exec, it is the ease of reporting, analytic s and the ease of incorporating Apps onto my campaigns. The ease of obtaining viewability figures from T1. Use the MediaMath BrainViz Tool. It's great to have a snapshot view on connections between nodes, and how optimizations are potentially taking place. Integration with Comscore and using Rich Media creative via Mediamath have been solved. This offers us more scope and options for optimization. Yet to play around with Apple iAds. I think agencies working with tradedesks should be given more information on this instead of going direct. MediaMath is very advanced. They are truly pushing the envelope for what is possible with digital advertising. Activating complex first party client data was the most advanced that I have seen, the process and the eventual optimization. Complex segments were managed well and the reporting came out clean and understandable. 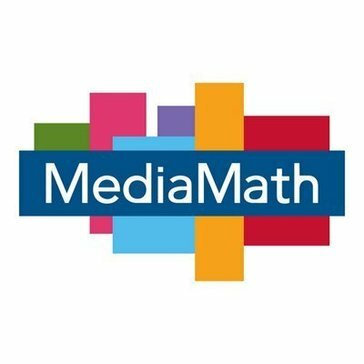 MediaMath is not cheap and I know they are taking a very healthy margin. Also I have some concerns about where the inventory runs, despite their best efforts to reduce bot impressions, even more detailed site level reporting would be excellent. MediaMath is one of our top 3 providers and they are headed in the right direction. They can be a bit expensive and they are clearly taking a healthy margin however. Running advertising campaigns for large and medium sized clients alike, with no budgets under 10K. We have a noticed an increased ROI when using MediaMath and trend towards renewals, especially for campaigns with clear revenue metrics or back end sales goals. (performance goals). "Excellent Demand Side Platform and Team"
MediaMath's console is visually logical in a digital space that is easily less so. The MediaMath team is responsive, thorough, and forward thinking. Ease of use, from set-up to daily optimizations and reporting is excellent. MediaMath has partnered with innovative leaders in the greater programmatic space and provides good updates and training tools. Some reporting functions or views and bulk features are not as fully developed. Daily reporting functions views are not saved, though you are able to request automated reporting sent daily via email. Most of these 'pain points' are seeing changes at MediaMath in the near future. Team is very interested in feedback. Definitely one of the leading DSPs. Highly recommended. Their staff is incredibly knowledgeable about their product and others in the industry, and addresses weaknesses quickly within the console. Buying Programmatically and with PMPs. Always ahead at publisher integration (one of the first DSP to have access to FBX). UX is well thought for both brands with key campaigns and agencies with hundreds of them. Great documentation and very supportive client partners team. Compared with other DSPs, it has the most transparent and easy to access reporting system. Still missing integration for non traditional inventory (native). Programmatic partner for agencies and its brands. Helping brands to connect with their customers using data and creativity. I do not like how unflexible the UI is. I also use trade desk along side MM and their UI is SO flexible. It makes it easy to do multiple bid settings within one strategy instead of having to break out a stategy for each bid up or down you want to do. For example you can bid high or low depending on time of day within one strategy. Where in MM you would have to creative multiple strategies to bid up or down during certain times. I am trying to drive the most revenue for my clients and determine and analyze the best tactics to serving online ads. "Optimization capabilities are not up to par with competitors"
"Great Customer Service and User Friendly Interface"
One of the best features for my everyday working would be the "Reduced Ad Collision Feature" as it allows us to prevent campaigns spending unnecessarily. Another feature which stands out is the Reporting Functionality and Visual Representation, which is perfect for customer reports. The only real downside to the platform in my opinion is the lack of free category targeting capabilities. Other platforms provide this feature which is extremely helpful when implementing from strategy high up the ladder. "A faithful look into the customer journey not just "guesses""
Transparency. It's hard to find with competitors of MediaMath and very important to clients/buyers. Efficiency is also key when trying to reach consumers, individually, at scale - it's something MediaMath excels at. Had I know about MediaMath as a buyer at my former job, I think my clients would've been floored at their performance and marketing sophistication. I only wish I had known about MediaMath sooner. Relying heavily on outdated forms of communication and advertising to reach a wide base of consumers, primarily because clients were convinced old methods were most effective and cost-efficient - this is a thing of the past. TerminalOne targeting and optimization capabilities provide an abundance of real-time reporting which gets clients to their desired goals. Learning about MediaMath TerminalOne Marketing OS™? * We monitor all MediaMath TerminalOne Marketing OS™ reviews to prevent fraudulent reviews and keep review quality high. We do not post reviews by company employees or direct competitors. Validated reviews require the user to submit a screenshot of the product containing their user ID, in order to verify a user is an actual user of the product. Hi there! Are you looking to implement a solution like MediaMath?